CLOSEOUTS. 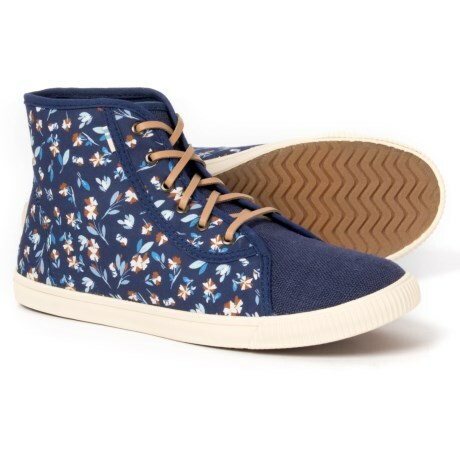 A little bit old school with its high-top silhouette, these TOMS Camarillo sneakers stay on trend with their lightweight fabric construction and pretty floral print. Available Colors: COBALT. Sizes: 7, 7.5, 8, 8.5, 9, 9.5, 10, 11.